Apple prides itself upon innovative modern design, so it’s no wonder they’ve chosen a world-renowned architect to design their new headquarters in Cupertino, California. The company just announced that Inhabitat favorite Norman Foster will design a brand new eco-campus on 90 acres of land purchased from HP last month. 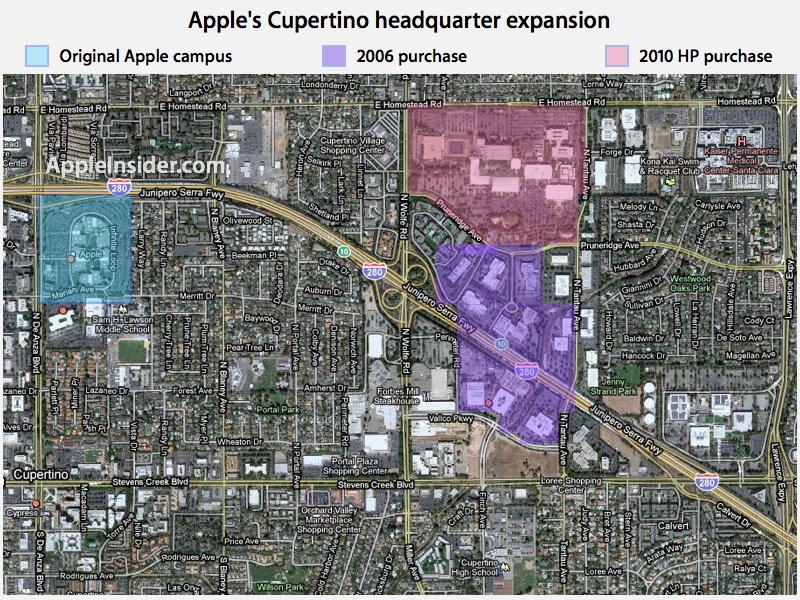 Dubbed the “City of Apple”, the new campus will span 148 acres (including 50 acres purchased in 2006), making it the future headquarters of the industry giant. The project will feature a strong focus on creating a sustainable environment, and much of the development’s infrastructure will be built around renewable energy. While no renderings have been revealed, it has been reported that Apple’s new headquarters will include a network of tunnels that joins the buildings together while maintaining green surface areas. It has also been reported that new city will be modeled after Foster + Partners’ carbon-neutral Masdar City in Abu Dhabi, which is currently under construction. So it will be modelled after Masdar City? Only one building completed at a totally exhorbitant cost without any of the quality to match and a masterplan redone countless times but still in tatters. Good luck Apple !! PS... don't go for the podium and PRT option LOL.